Though it's way too early to predict, Fighting Insider is sharing its insights on who's going to make it between The Count and El Conquistador. Warning: Your opinion might be otherwise. As UFC goes back to the land down under, veteran brawler – Michael Bisping – will square off against the 38-year-old, Jorge Rivera. It should be recalled that Michael Bisiping’s last trip in Australia was also the last time he was defeated inside the Octagon. But nevertheless, The Count just shook off his set back from Wanderlei Silva last UFC 110 with two record victories over Dan Miller and Yoshihiro Akiyama. Michael Bisping is a fighter with heavy hands. He can stand and trade blows, but he is also skilled enough to defend on the ground. 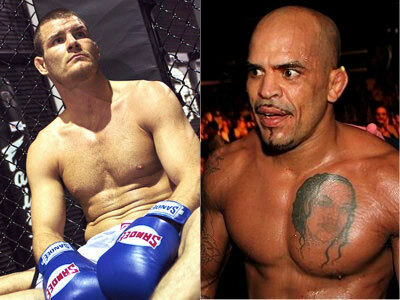 And although Micheal Bisping is a well-rounded and talented fighter, he’s a notch below the elites. Jorge Rivera, on the other hand, is itching to get step inside the Octagon once again, as his last opponent – Alessio Sakara – had to withdraw from their slated UFC 122 bout. Jorge Rivera is a tough guy in the sport, and he’s been a solid opponent for the truly talented guys. And there is no doubt that he can hit, especially after he gave Nate Quarry a reason to have facial reconstruction surgery. However, Michael Bisping can be a bit much to ask for. With fighters bringing the thunder with their prolific punching power, Micheal Bisping and Jorge Rivera’s match will definitely be bone jarring. However, Jorge Rivera is a brawler who preys upon those who cannot tolerate his crosses and jabs. Michael Bisping, meanwhile, is comfortable in that arena and an exquisite counter striker. And fans can say that The Count is a younger, more complete fighter that can beat Jorge Rivera at his own game.